Acquire new, loyal customers with superior customer experiences and enhanced digital footprints. Track VoC insights and optimize the review process. xAmplifier automatically finds the best ways to generate reviews from your delighted customer base. 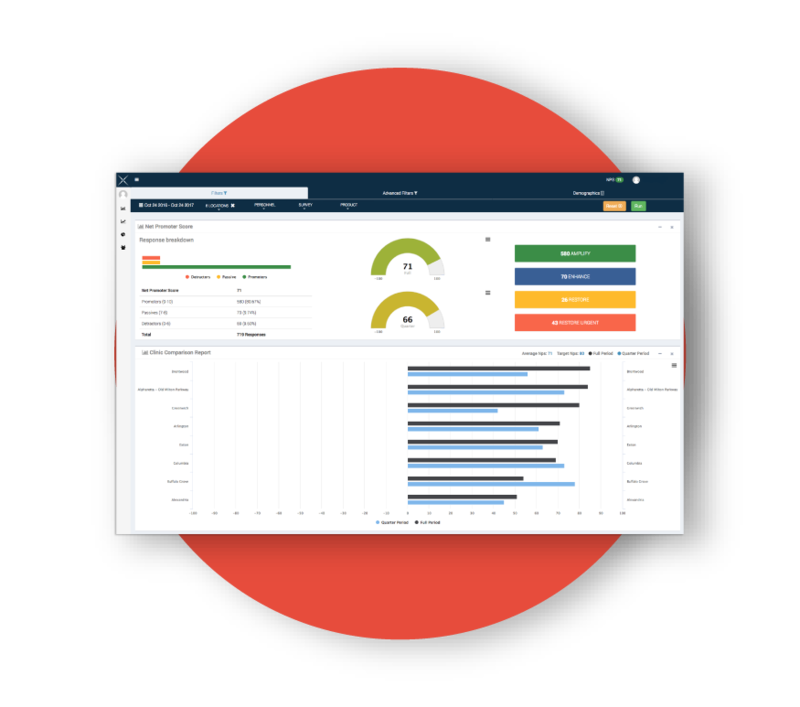 Our review management tools make sharing review data easy and our intuitive dashboards help you to measure performance. Stakeholders also can receive automated VoC alerts helping them to optimize the customer experience for everyone who walks through the door. Industry leading reviews also help new customers to learn about and find your business. Receive customer feedback that enable better service and support product decisions. xAmplifier provides local staff and management with important customer purchase drivers that will enable them to tailor offerings that are more likely to delight customers. The persona development tools will provide merchandising and buying personnel with insights that will help to increase sales and get out in front of rapidly changing customer desires. Finally, the alert system places information directly in the hands of front line customer service and sales staff allowing them to continually improve their delivery style and get a leg up on meeting customer expectations. Understand the root causes of customer dissatisfaction and empower your team to act quickly. On average, it takes 15-20 new customers to create a lasting, loyal customer. Utilize xAmplifier feedback to better customize communication with happy and unhappy customers to dramatically increase the odds that new prospects will become loyal fans. Then use that loyal fan base, and the customer's social media prowess, to enlighten their friends through word-of-mouth marketing and turn the fan base into a fan army! 92% of consumers read online reviews as a first step to find a local business. 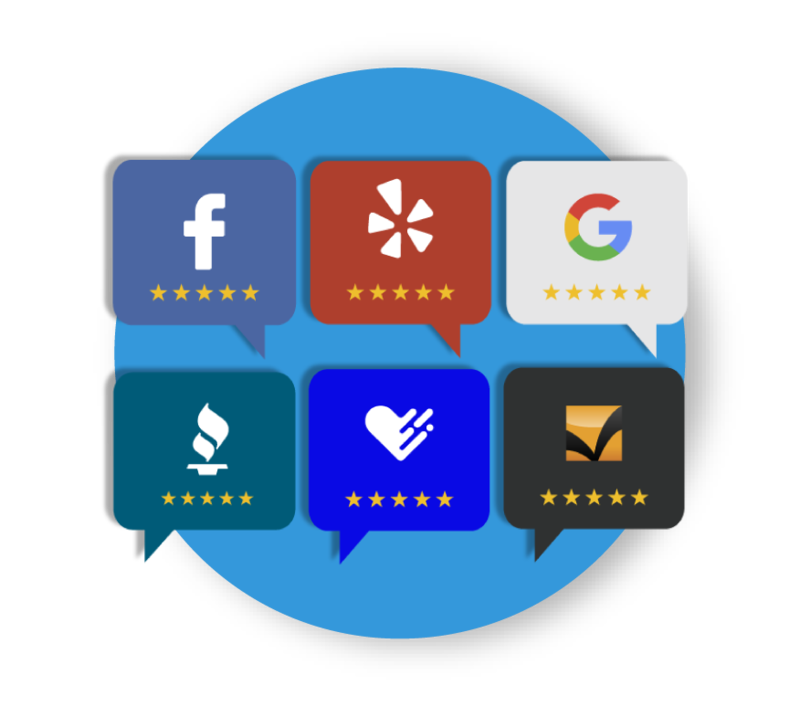 xAmplifier automatically identifies and reaches out to potential brand advocates to generate reviews on essential retail review sites, such as Google, Facebook, and Yelp. xAmplifier also easily publishes these reviews on your website and social media outlets.